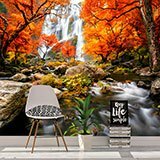 Wall mural Waterfall in autumn. 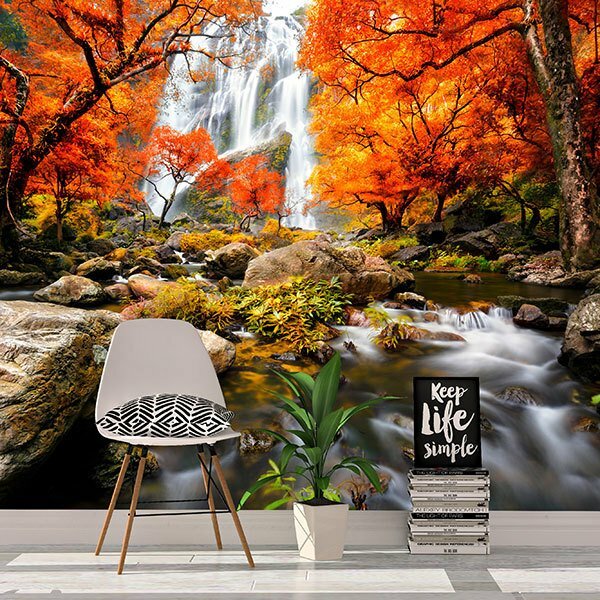 Wall mural Waterfall in autumn. 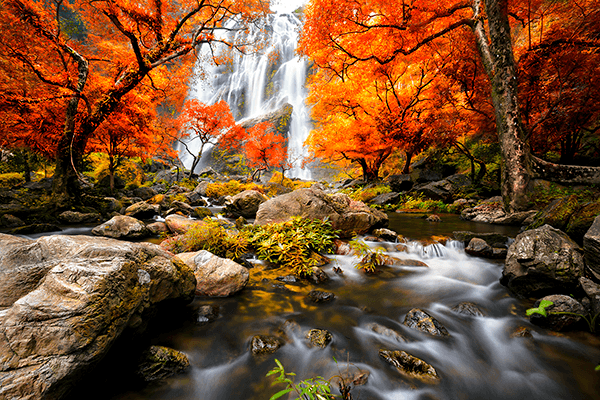 Precious snapshot of nature in autumn, with a huge waterfall in the background. The leaves of the trees have an intense reddish color. Magnificent river pass between the rocks and the vegetation that seems to foam. 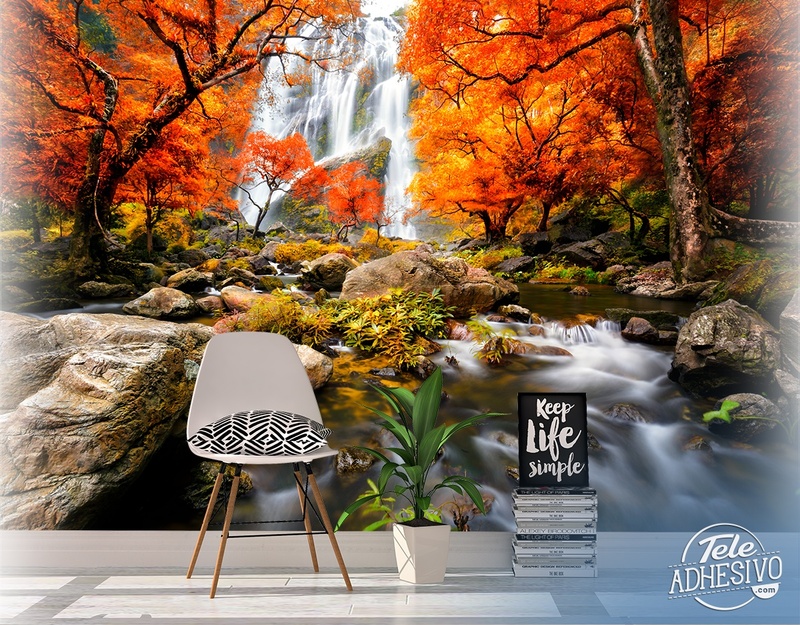 Ideal for decorating any room in the house.